Does your dog's gas have you gasping for air? Can one fart from your dog clear a room? A gassy dog might be kind of funny, but it's also something even dog lovers can live without. If your dog has particularly bad flatulence, it may be a sign of a health problem. 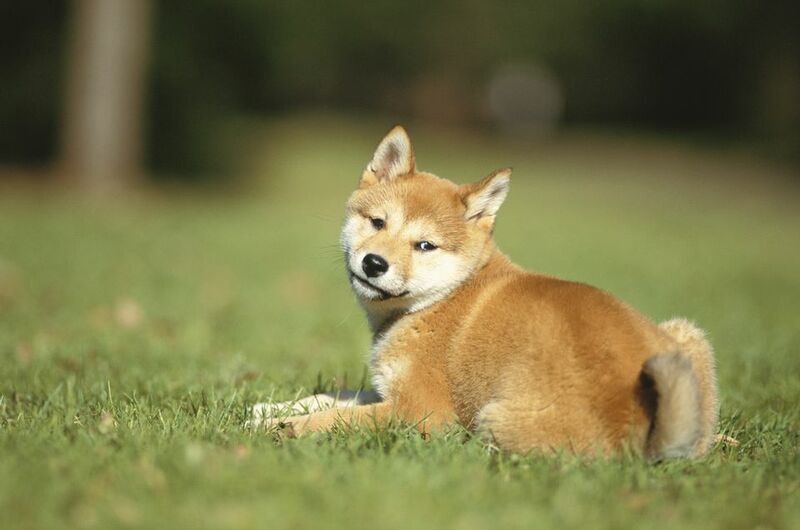 Find out why some dogs fart so much and learn how to handle flatulence in your dog. Dogs pass gas for basically the same reasons people do. Flatulence is a normal bodily function that cannot be completely stopped, although excessive gas can certainly be reduced. Finding out the reason for the gas is the first step. Flatulence occurs as a result of gasses that have accumulated in the digestive system. There are a few ways these gasses typically end up in the gastrointestinal (GI) tract. Swallowing excessive amounts of air can cause excessive amounts of gas. This often happens when dogs bolt or eat their food too quickly. Remember: what goes in must come out. If your dog doesn't burp out the swallowed air, it will come out the other end. You may be able to distinguish this from other gas since flatulence from swallowed air doesn't usually have a strong odor. The normal process of digestion produces gasses in the intestinal tract. Foul-smelling gas is often caused by bacteria in the colon that aids in the digestion of foods that were not completely digested in the stomach and small intestine. This is common with dietary indiscretions (like getting into the trash or eating something found outdoors). Some specific foods, like peas, beans, milk and milk products, and high-fat and spicy foods, can all cause flatulence in dogs. Infections, diseases, and disorders of the GI tract can cause excess gas production and flatulence in dogs. Some of these conditions are inflammatory bowel disease (IBD), irritable bowel syndrome (IBS), intestinal parasites, tumors, or exocrine pancreatic insufficiency (EPI). It's best to schedule a routine appointment with your vet before you try to address your dog's gas on your own. Symptoms like diarrhea and vomiting that occur along with flatulence could mean there's a GI-tract problem. You can bring up the excessive gas during your appointment with the vet and see what she recommends. Treatment of flatulence often involves dietary changes. General recommendations to help your dog may include an easily digestible low-fiber, low-fat diet. Special diets and meds may also be prescribed, depending on your vet's diagnosis. Exercise your dog. This is an easy approach to managing your dog's gas problem. A simple walk within 30 minutes of eating can help move those gasses along more quickly, allowing your dog to emit them outdoors where the odor isn't noticeable. Change your dog's diet. The dog food you're feeding your dog might be making your canine excessively gassy. If you're currently giving your pup a low-quality "economy" diet full of questionable ingredients, try switching to a higher-quality diet made with whole foods. If you already feed the dog a premium diet, consider changing to a one that contains a different type of protein. You can even try a limited-ingredient diet to eliminate multiple ingredients. Be careful with human food. Some human foods are toxic to dogs. Others may be safe for dogs but create gas. Avoid giving your dog foods that may cause excessive gas, such as soy, dairy, peas, beans, and fruit. Put the brakes on the bolting. You can give your dog several smaller meals throughout the day or try placing an obstacle inside your dog's food dish to decelerate the pace of consumption. A tennis ball or a smaller bowl turned upside-down would work well. Or consider buying a bowl that's specially designed for this purpose. Try probiotics. While the benefits of probiotics are debated among professionals, many agree that they can be beneficial. In any case, there's no harm in trying to add more of the good bacteria to your dog's GI tract. Be sure to use a high-quality probiotic that's suitable for dogs and has been shown to be effective. Ask your veterinarian for recommendations. Consider dietary supplements. The use of Yucca schidigera and/or zinc acetate may decrease the odor of gas but not necessarily the volume or frequency. Activated charcoal is also thought to reduce gas odor. Before beginning any supplements, consult with your vet and be sure to choose a product that's labeled for use in dogs. Try one dietary change at a time. When you're modifying your dog's diet to reduce gassiness, this is really the only way you can determine which change works best. If none work alone, try combining changes two at a time. If at any point your dog loses its appetite or any other symptoms of illness, see your vet.